Widely seen as one of the key cultural hubs of the entire US, San Francisco has long been regarded as one of the most progressive places on the planet. Always one step ahead in terms of art, technology, entertainment, and more, 'The City by the Bay', as it is commonly known, continues to lead the way in American culture and progress. The city is home to some of America's biggest companies and is statistically one of the US' premier tourist destinations too, as well as being consistently rated as the best place to live in the entire country. With such a rich comedy culture and a love of performing arts of all kinds, San Francisco is blessed with plenty of much-loved comedy clubs and shows. Not a single night goes by without a whole host of super comedy experiences for people of all ages and backgrounds to enjoy. So if you’re looking to enjoy some side-splitting comedy in San Francisco, check out one or more of the locations listed below. Opened way back in 1978 and located on Battery Street in the Financial District, The Punch Line is San Francisco's premier comedy club. It's the oldest running comedy venue in the entire city, with a cozy setting and around 180 seats in total. Almost everyone on the 'who's who' list of comedians has performed at this venue in the past, including genuine legends like Dave Chappelle, Ellen DeGeneres, Drew Carey, Chris Rock, Robin Williams, Dana Carvey, Patrice O'Neal, Jay Leno, Mitch Hedberg, and many, many more. The Punch Line always has an exciting schedule with many TV and film comedians appearing all through the year. All-star events and showcases are also featured in this intimate venue each month and the show's cartoonish San Francisco skyline backdrop is one of the most famous images in the city's comedy culture. In short, if you love comedy and find yourself roaming the streets of San Francisco one weekend, this is a great place to spend an evening, both alone or in the company of friends and family. Founded back in 1982, Cobb's Comedy Club stands alongside the Punch Line as one of San Francisco's most historic and storied comedy venues. Dozens of top comedians have honed their skills here over the years and the club is actually sistered with the Punch Line, meaning that many of the same great acts appear at both venues and you can expect the same great standards of quality at the two locations. Cobb's offers more seats and a larger space than the Punch Line, featuring the same great standard of top quality stand-up, sketch, and improv comedy acts all year long. The sort of comedians you know from TV can be found here every single week, making Cobb's an awesome place to be for people looking for the highest standard of comedy in the city of San Francisco. An upscale bar on Haight Street, Milk Bar is highly popular with San Francisco residents looking to catch some local talent live. 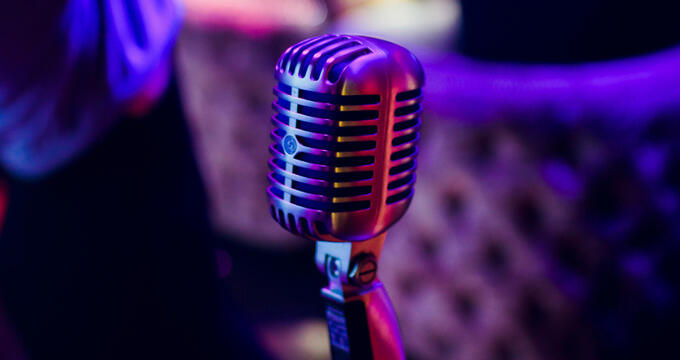 This bar features a wide array of live music events and comedy shows, including comedy showcases of local up-and-coming talents, open mic events every Monday, comedy game shows, charity comedy events, and more. High-concept alternative comedy can be enjoyed here just as regularly as typical stand-up fare, ensuring that the Milk Bar has something to offer every single one of its customers. The 'Jury Duty' events, in which two comedians argue against each other on totally random, inane topics, are particularly popular and free stand-up shows can be enjoyed once or twice a month too. Check out the Milk Bar’s schedule regularly to see what sort of fun comedy events are coming up next.